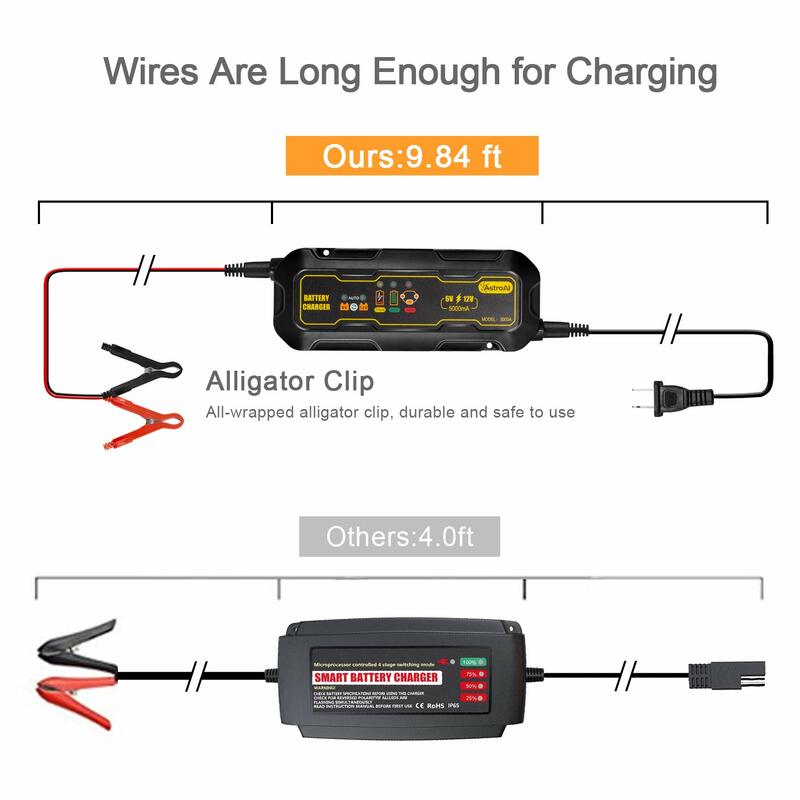 The charging cord length is over 9.84 Feet long. 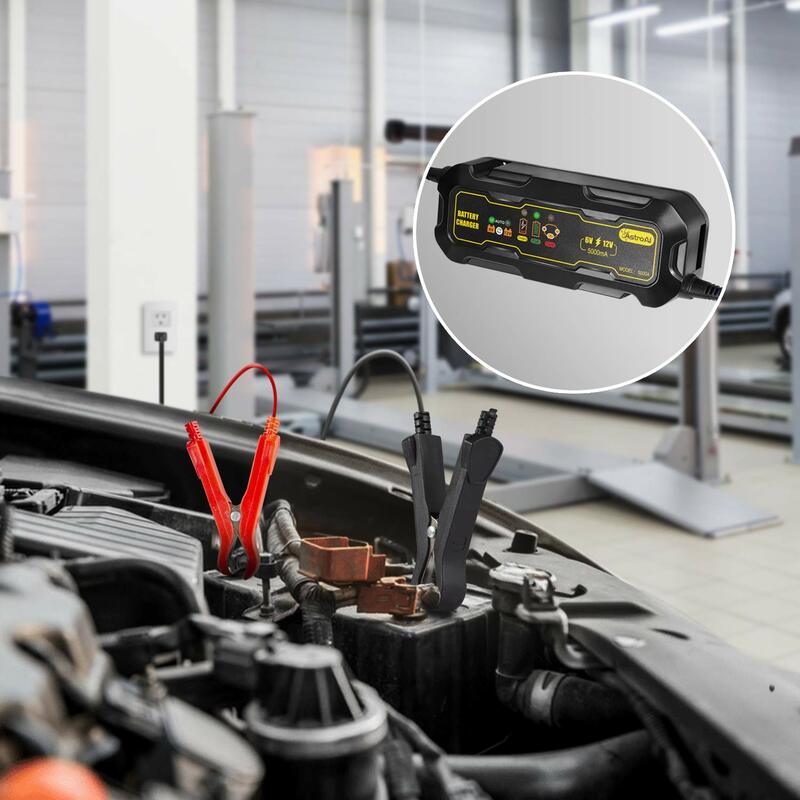 It takes the guesswork out of vehicle maintenance because it automatically identifies whether your vehicle's battery is 6 or 12 Volts. 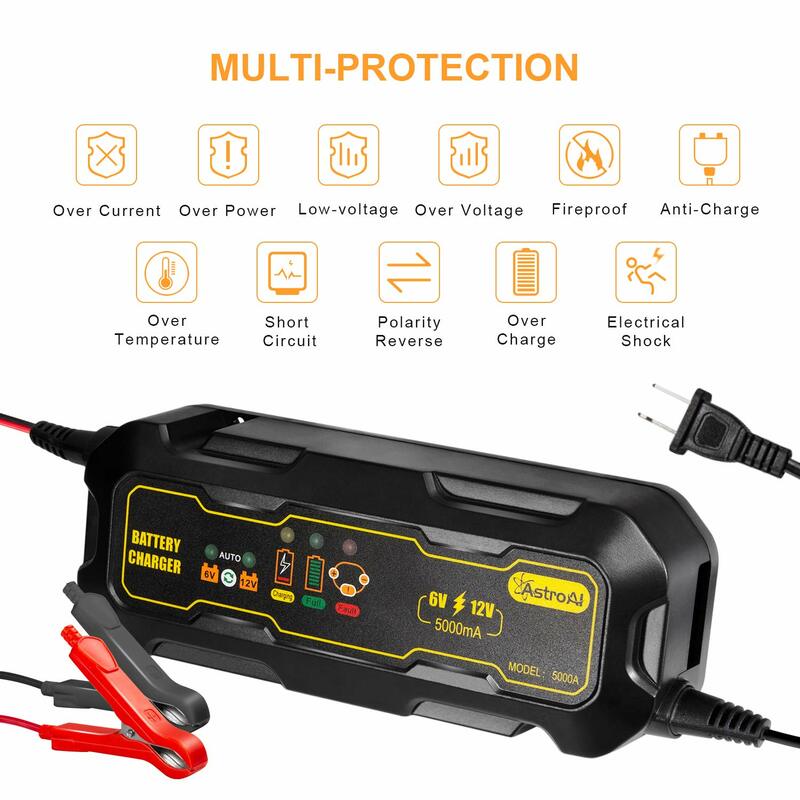 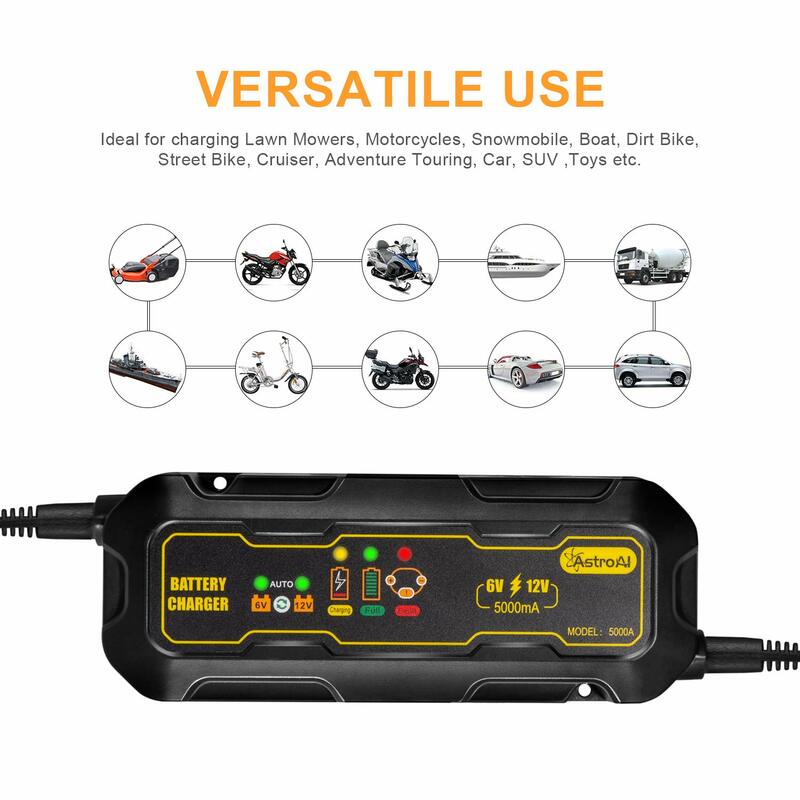 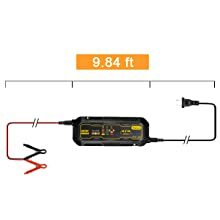 Ideal for charging Lawn Mowers, Motorcycles, Snowmobile, Boat, Dirt Bike, Street Bike, Cruiser, Adventure Touring, Car, SUV etc. 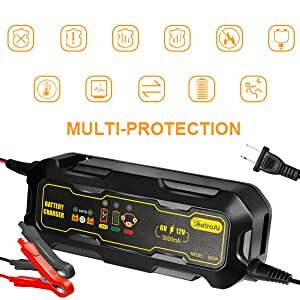 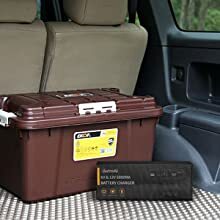 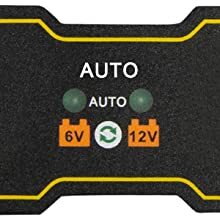 Stay in control of your vehicles the AstroAI smart auto battery charger charges and maintains the battery for your vehicles, even when you aren't using or monitoring them. 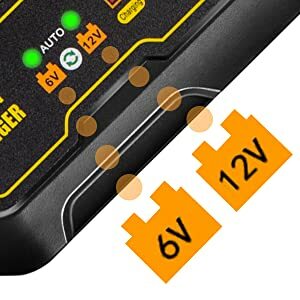 It takes the guesswork out of vehicle maintenance because it automatically identifies whether your vehicle's battery is 6 or 12 Volts. 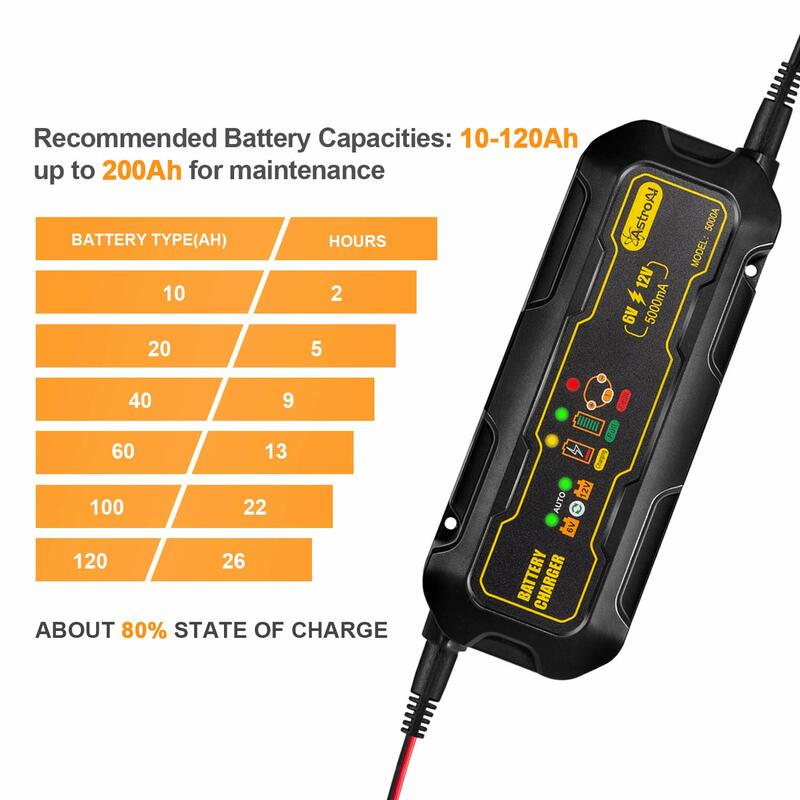 Storing a battery for long durations will result in them being low or dead when you eventually go to use them. 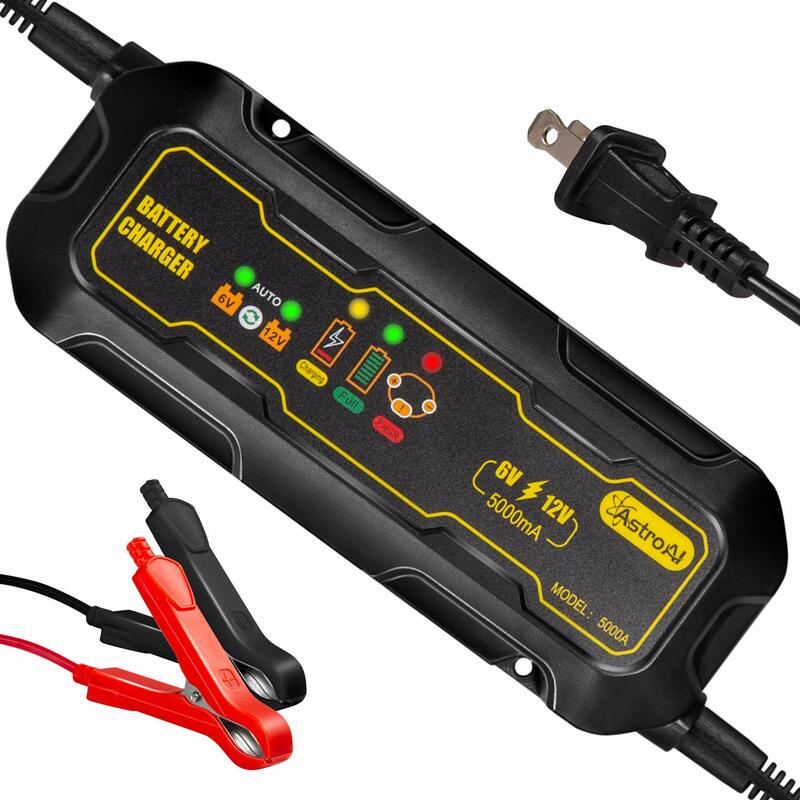 Keep them charged and ready to go to avoid the hassle and irritation that comes with a dead battery. 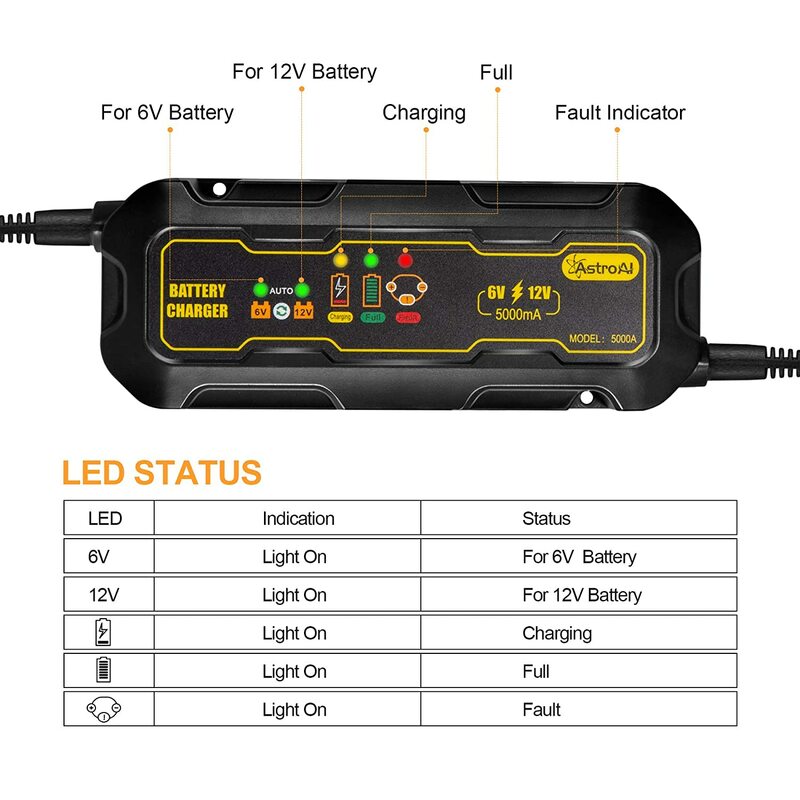 Safe design a computer with advanced safety features and protocols controls everything while charging. 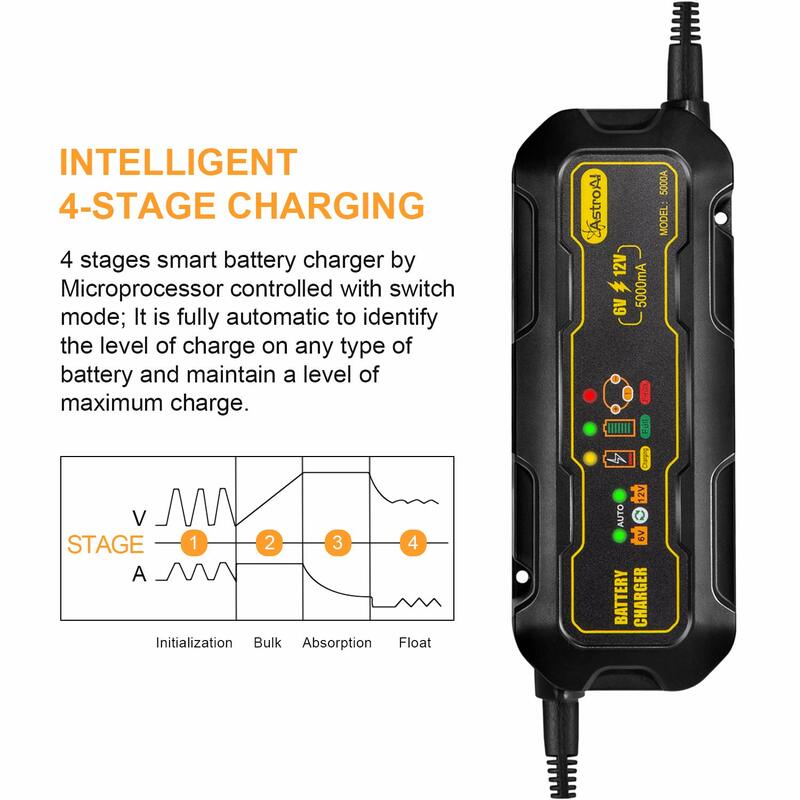 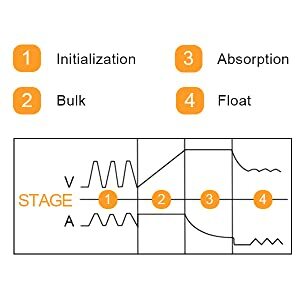 A four-stage charging process allows the computer to fill and maintain your batteries at optimum levels. 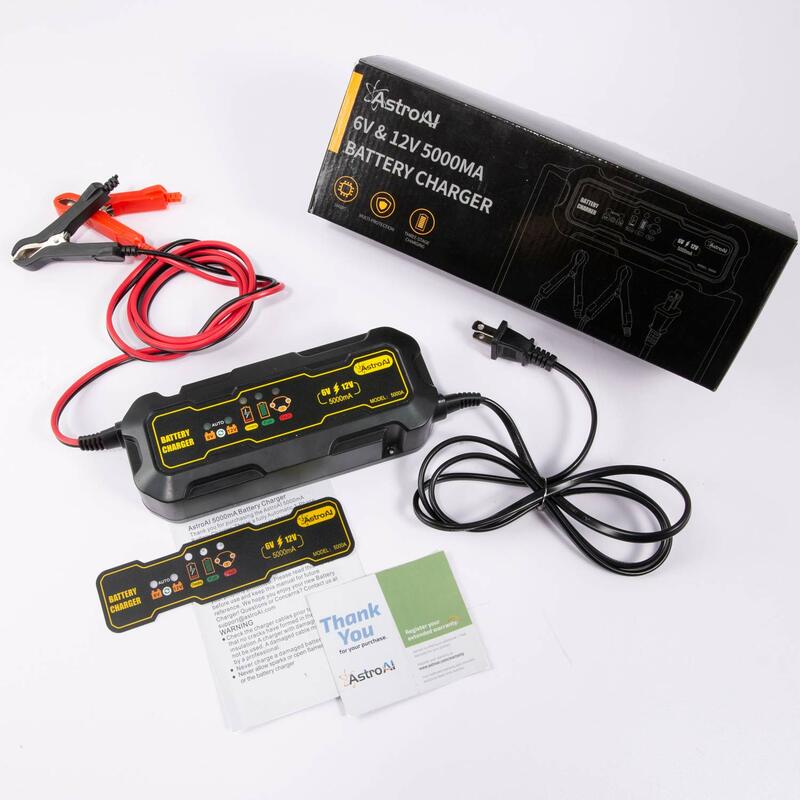 It starts charging quickly, but tapers off after the battery begins to reach its capacity. 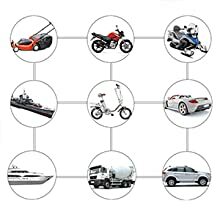 Safety features like this are what keep AstroAI customers satisfied and Happy with their purchases.